When the S-4 Supply Sgt can't help you, we can! Be prepared for field repairs with parts you need for securing the ACH Advanced Combat Helmet/ MICH chinstrap retention. 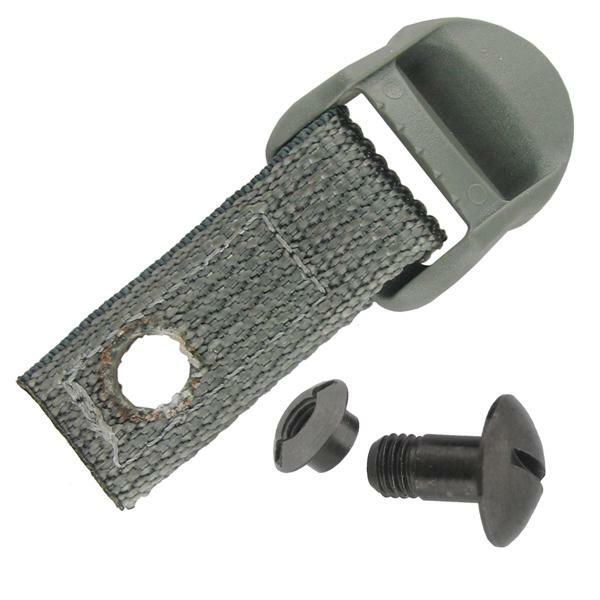 Repair kit includes one (1) each: Attachment Web Tab, Screw and Post Nut. Mil-Spec. Made in the USA.